In a notice issued by Jorhat Municipal Board(JMB) chairman Jayanta Barkakoti here, the annual trade licence fee has been hiked by 30 per cent for most of the categories of shops. For enterprises like multiplexes, malls and the likes, the hike is higher, the notification further stated. Those establishments which have already paid the hiked fee at the high rate fixed earlier by the JMB and which came into effect from April this year in April would be adjusted in the next financial year, the notice said. Borkakoti said that they had reorganized grocery shops into four categories – A, B, C and D – according to items sold. A category would pay about Rs 4000; B – Rs 3000; C – Rs 2000 and D – Rs 1000. In the case of a shop selling electrical appliances, if it was earlier paying Rs 1500 then the hike was 30 per cent. Likewise, in the case of hospitals and nursing homes, they had been recategorised according to number of beds, a 20-bed hospital having to pay much less than a 100-bed one and hospitals with facilities like ICU had to pay higher. The rollback in license fees came in wake of hue and cry raised by majority of the traders’ bodies including Upper Assam Chamber of Commerce and by ruling BJP Ward Commissioner of Ward No 6 Ankur Gupta. The traders’ bodies had opposed the exorbitant hike of four to 10 times the slab which they said had been done in an arbitrary manner without consulting them. Gupta too had opposed the steep increase and had written letters to the Jorhat Deputy Commissioner and director of the Municipal Administration, Guwahati, urging them to look into the matter and revise the same. Gupta had alleged violation of the Assam Municipal Act provisions by the JMB pointing out that according to the Section 79 F of the Assam Municipal Board Act, 1956, the rate of taxes determined under this Act should be notified by the municipal boards and town committees by issuing a public notice within a period of three months before coming into force. He said this procedure was not followed with traders coming to know about it while going for annual renewal of their trade licences. 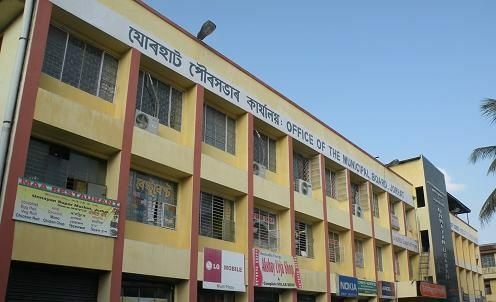 In the annual general meeting of JMB held on May 29, discussions were held to revise the rates and in a special meeting called on June 11, the decision was taken to lower the rates. The notification said that the fee would be for the year 2017-18 and not 2018-19 as issued earlier. Till further notice, there would be no further increase of fees.